IP Privacy Protection Software - Proxy and VPN to Unblock sites, Free Download! Hide My IP for Windows and Mac uses secure proxy connections to provide the best possible protection and security online. With the click of a button, select from thousands of IP around the world. Utilizing technology with over 5 years in the making, Hide My IP is now compatible with all web browsers, games, E-mail clients, and dozens of third-party applications. Get unlimited assistance with toll free phone support, live chat, E-mail tickets, support forum, and extensive knowledgebase. The 30 Day Money Back Guarantee provides extra purchase protection. Surf anonymously by hiding your IP location and unblock yourself from forums, message boards, games while encrypting your traffic with 256-bit SSL encrpytion. Works with Internet Explorer, Chrome, Opera, Firefox, Safari, Avant Browser, K-Meleon, SeaMonkey, Epic Browser, CometBird, Maxthon, SRWare Iron and more! Access TV, Movie, Radio, and News websites while traveling abroad. Able to clear cookies when IP address changes, enhancing protection. 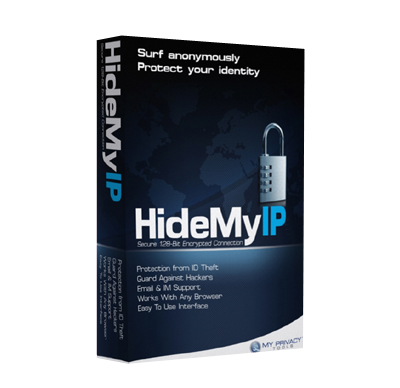 Learn how Hide My IP works by checking our How It Works page.